If you remember from my post on Saturday for the Rose Vase I mentioned that I was going to etch another vase and that it would be all about Dots. Well I etched two. One with Dots and one with Stripes. I did not use the Cameo for these 2 vases. 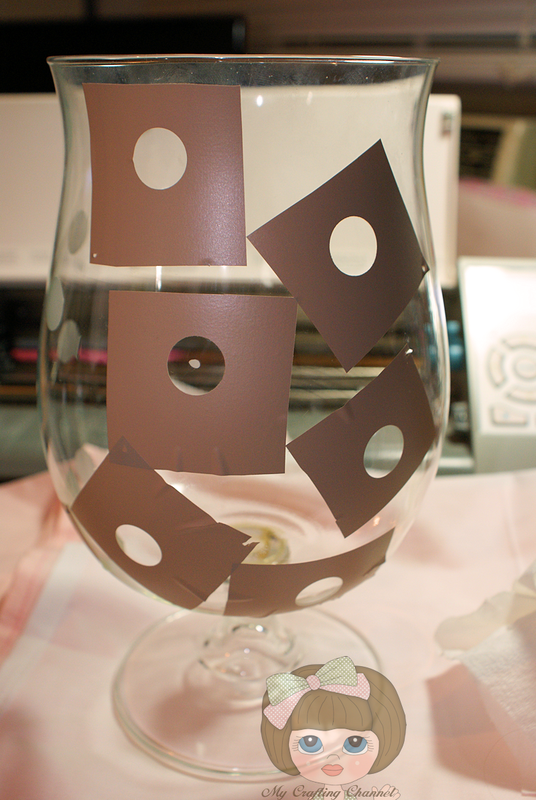 For the Dots vase I used contact paper that I cut in 2x2 inch squares. I then punched a hold in the middle with a small hole punch. I had to work in sections adhering the dot to about a 1/4 of the vase at a time. I put on the etching cream waiting the time, rinsed dried then repeated the process 3 more times. Here is a pic of the 2nd sections ready to add etching cream. 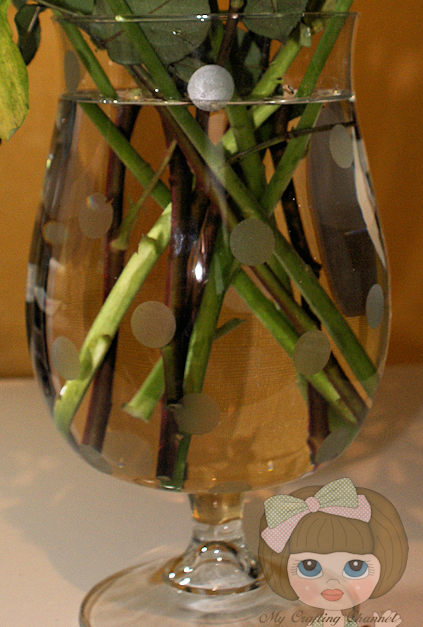 I think this is one cute and fun vase. 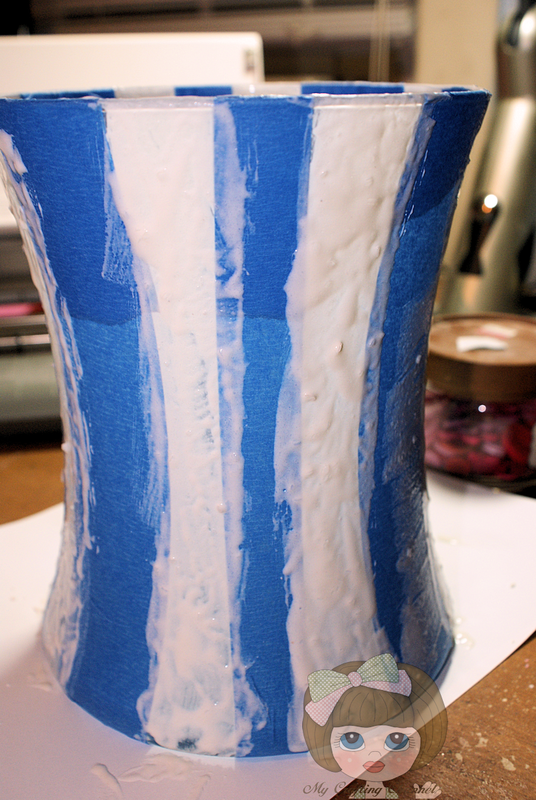 For the Stripes vase I took 2 inch blue painters tape and ran it down one side of the vase. I then added another strip directly across from the first strip. 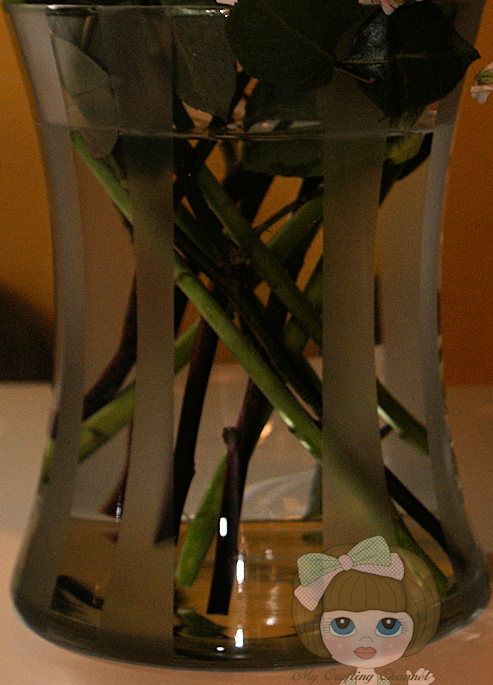 Turned the vase and added 2 mores strips across from each other splitting the vase into 4 equal parts. The I placed a 1 inch piece of blue painters taps in between each of 2 inch strips of tape. Added the etching, waited the time, rinsed and dried. 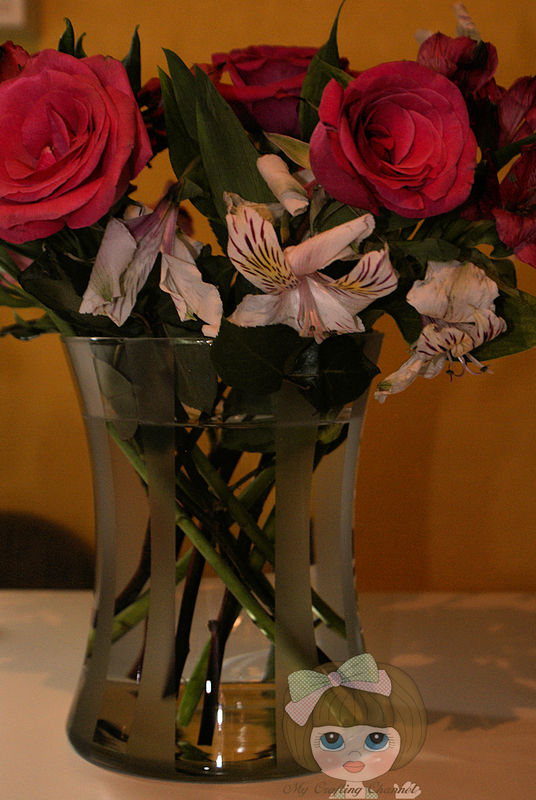 This pic is the vase with the tape and etching cream. Another very cute and fun vase or at least to me. 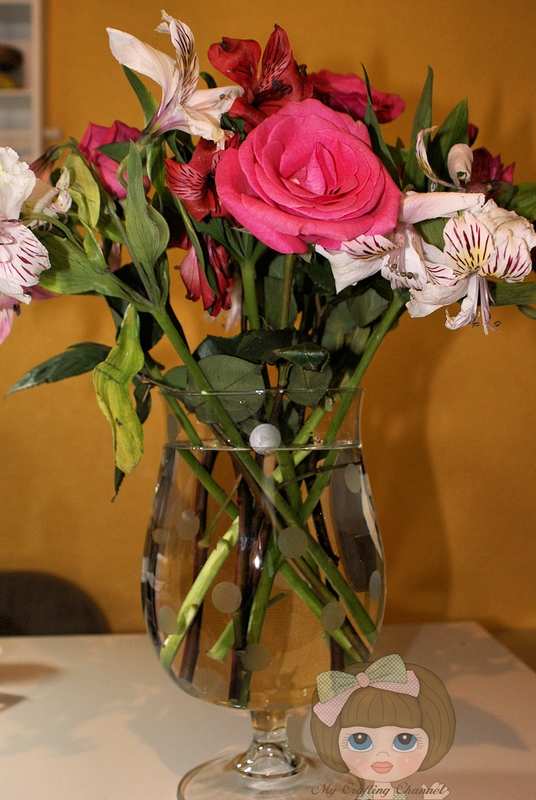 LOVE both of your vases!!! AWESOME projects! They are both BEAUTIFUL!!! WOW!! Perfect gift!!! They are both fabulous! Awesome idea and makes for a great gift! These vases are gorgeous!!!!! I did etch a cookie jar for Peaches! They are both just beautiful! I will definitely have to try this! They are both awesome!! I love , Love them both!! Have a great day.